An attack by the Israeli occupation forces on a family from Jerusalem in Selwan neighborhood in the old city before demolishing their house early this morning. 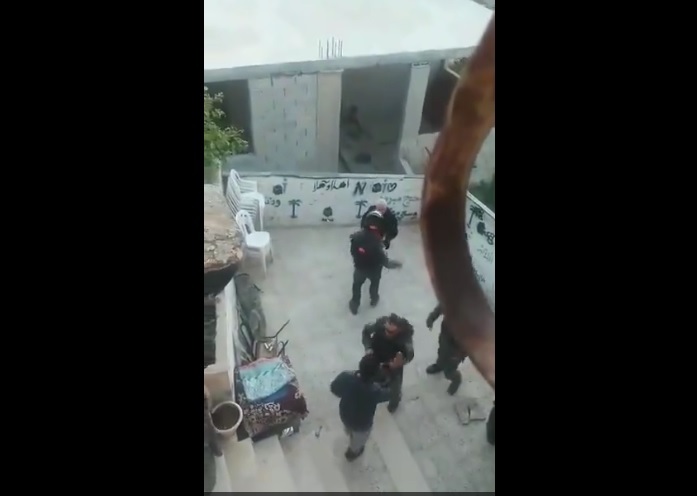 The video shows the Israeli occupation forces getting into a Palestinian family's house and attacking their son knocking him down on the ground and then start attacking an older man. For more please watch the video below.